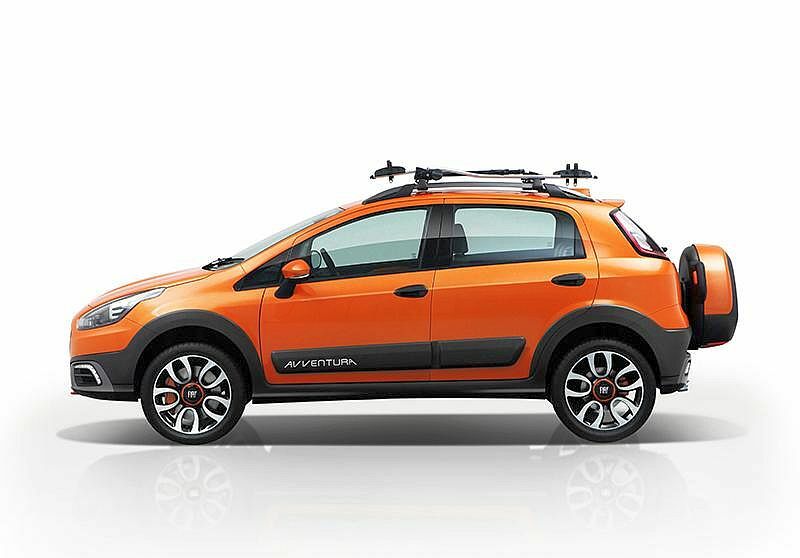 Fiat India will launch the Avventura crossover styled hatchback within the first week of October. The hatchback is a butch, restyled version of the recently launched Punto EVO, replete with taller 16 inch wheels, body cladding, roof rails and a spare wheel mounted on the rear hatch lid. While Fiat India has been mum about the Avventura’s engine and transmission range, the hatchback is highly likely to carry over the 1.4 liter FIRE petrol and 1.3 liter Multijet turbo diesel engines of the Punto EVO. A production-ready Avventura test mule with the 90 HP badging was spotted recently, confirming the 91 Bhp-209 Nm outputs of the crossover styled hatchback. A five speed manual transmission is likely to be standard on both the petrol and turbo diesel variants of the Avventura. The Avventura will also share its interiors and features with the Punto EVO, albeit with detailing changes such as the tilt and incline gauges on the dashboard that add to its crossover appeal. Expect twin airbags and ABS+EBD to be the standard safety features on the top end variants. 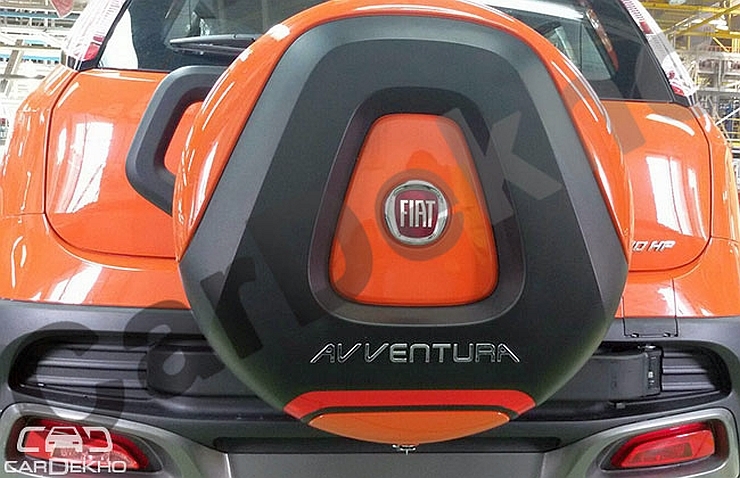 The Avventura is the third major product launch from Fiat India this year and the hatchback is expected to add to the volumes of the Italian brand. A vehicle unique to the Indian market, the Avventura may also find many takers in export markets as well. Expect the Avventura to be priced at about 50,000 rupees higher than the Punto EVO. 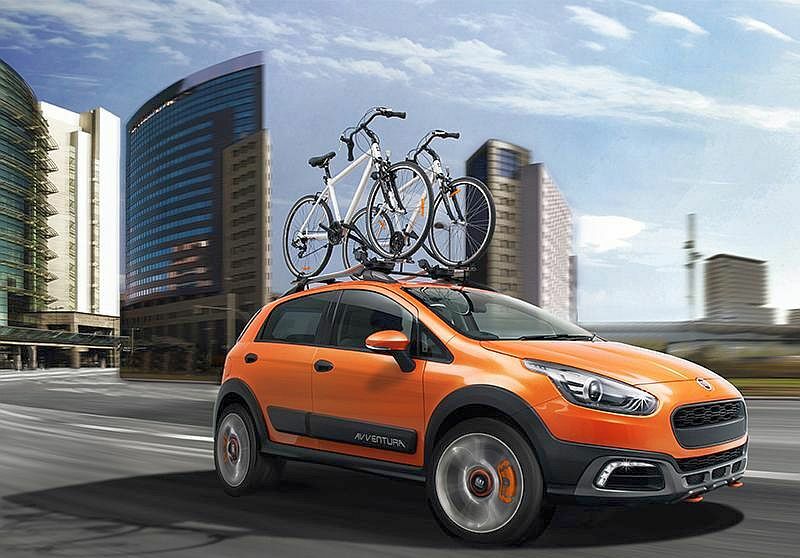 Fiat India seems eager to position the Avventura as a crossover aimed at the Ford EcoSport and this strategy is evident from the released teasers, which pitch the crossover as an urban utility vehicle. If priced and positioned lower than the EcoSport, the Avventura has a good chance of notching up good numbers for Fiat, especially considering the hatchback’s butch looks and hefty ground clearance.